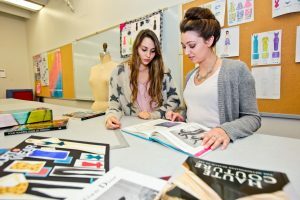 The NIU Fashion Merchandising program faculty will offer high school students the opportunity to learn more about careers in the field through a special summer Fashion Studio Camp. The registration fee for this camp is $350 and includes a two-night stay at the NIU Holmes Student Center Hotel, meals and materials. Trained counselors will be with students at all times and will supervise overnight stays.